ESPECIAIS DISPONÍVEIS !! Nós oferecemos 3 separado Cottages destacado encantador do Artesão. Butterfly Cottage #A é de 2 quartos 2 banho e dorme 6 pessoas, Hummingbird Cottage #C é um 2 quartos 1 banho e dorme 6 pessoas. Estúdio #B Ladybug 4 pax. Perfeito para casais, reuniões familiares, festas de casamento, eventos de negócios, grupo de amigos ou família se reunindo no mesmo local. Nota: Todas as 3 casas são remodelados, histórico, turn-of-the-century 1920 artesão, estilo arquitectónico. O cenário encantador bairro de San Roque em uma localização muito desejável no coração de SB. O cenário que o espera é tranqüila, a pitoresca e tranquila e está rodeado por uma variedade de árvores maduras, canteiros coloridos, paisagismo exuberante e todos fechados por uma nova cerca de piquete branca. Oferecemos um 10% de desconto para reservas de última hora para período de estadia com em 10 dias de reserva. 2 quartos, 2 banheiros, internet wireless, TV a cabo, serviço de telefonia local, barbecue a gás, lavadora e secadora. Uma cama king size, 2 camas de solteiro, sofá-cama na sala de estar. 2 quartos, 1 banho, internet wireless, TV a cabo, máquina de lavar compartilhada & motorista, serviços de telefonia local, churrasqueira a gás. estúdio, 1 cama queen, futon, 1 casa de banho, internet wireless, TV a cabo, serviço de telefone local, churrasqueira a gás, máquina de lavar e secar roupa compartilhada. "Nós apreciamos sua casa de campo tanto! Foi a nossa casa e base de trabalho para a semana de casamento da nossa filha. Esta casa deu a todos nós um lugar para se estar em casa longe de casa. Muito obrigado por uma memória tão maravilhoso. " 'Cottage Wonderful. Foi um lar longe de casa! Obrigado por fazer a nossa férias em família maravilhosa. O que um fim de semana relaxante. Todas as casas de campo têm placas de corpo, cadeiras de praia e refrigeradores para uso na praia. Joaninha Cottage é única história sem degraus para a entrada. Hummingbird Cottage é única história, mas tem cerca de oito passos para a porta da frente. Butterfly Cottage tem 3 passos para a entrada da frente e um passo para baixo em entrada de trás. Came to Santa Barbara for a wedding. Initially we secured all 3 cottages for 11 total but another family asked to stay with us so 16 of us ended up staying. 10 adults, 3 teens, 3 kids. The cottages were perfect for all of us. We liked the separate living spaces so we could each retreat to our own space if needed. We were able to have meals together. Had all cooking supplies available (except for the food of course). The beds were comfortable. Plenty of towels. The cottages had everything we needed. The landscape outside was charming. It was unseasonably warm during our stay (80 plus) air conditioning would have been a plus but we were well aware that the cottages had no ac. Fans were provided and did help tremendously. One issue I did notice was a septic smell that would come and go in the butterfly cottage. Overall, we all enjoyed our stay and commented that we would definitely love to stay here again. I would also like to add that the property owner and manager did not bother us at all the entire weekend. We didn't see any neighbors. The cleaning lady showed up promptly at the time of check out. I say this because the night before the wedding we were asked to go help finish some wedding preparations at the grooms parents vacation rental home and it became a BIG issue with the owners of the rental and basically kicked us out of their rental. We rented all 3 cottages as family was coming in from all parts of the country for my Dad's 97th birthday. What a delight! There was ample room to visit with each other, have community meals and separate sleeping quarters for each family group. 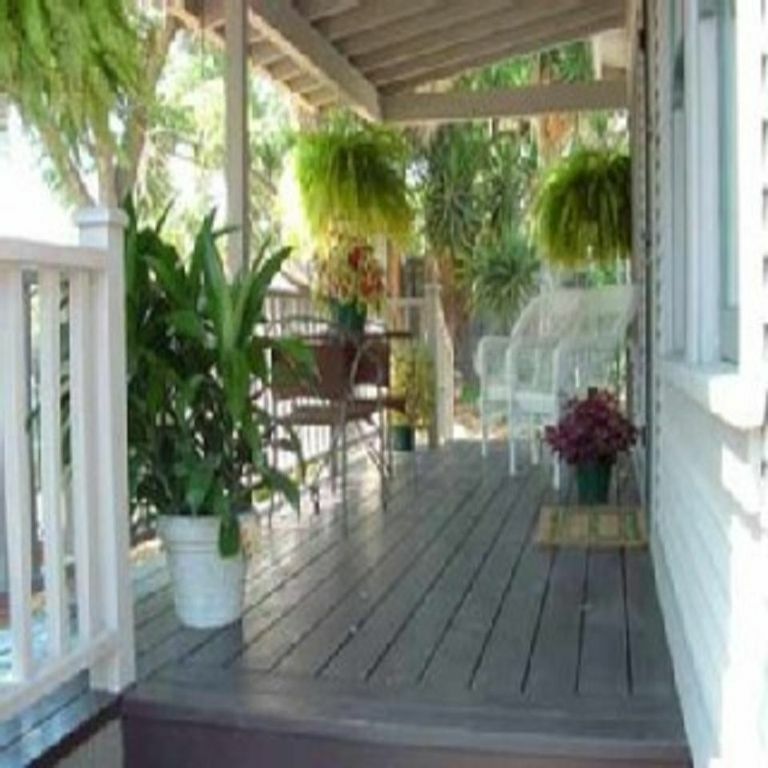 The cottages are ideally situated, close to shopping, restaurants, etc. yet are quiet and peaceful. Lovely gardens and décor. I housed a group of dancers and choreographers from NYC at the cottages, and they loved it! Everyone was able to have their own space, but also be near one another and socialize. It was a perfect solution for a unique group of tenants. Charming cottages just right for family gathering, very comfortable and great location. We could not be more delighted with this set of cottages. We were celebrating my Dad's 75th birthday and needed a space that would allow him to bring his dog and also for his adult children and his grandchildren to have space to be together but also not too cramped together. These three cottages were absolutely perfect--just a few minutes from the house where one of those children live, and just the right size. The cottages were everything we could have hoped for, and had all of the equipment we needed to cook and eat together and enjoy our weekend. It was close enough to good shopping and the beach, too, which allowed for excellent outings. There were a few pleasant surprises--the description said there was no air conditioning and just fans, but that seems to be outdated information. Also, there were a few basics in the cupboard (e.g. some spices and coffee filters) that helped make it easier for us to do our own cooking. We couldn't find extra garbage bags after emptying the trash on the first day, but perhaps we just didn't look in the right place. That's really the only thing we were missing. The cottages were comfortable, the space just right for our group of six adults (three couples) and five children, and we'd definitely stay here again. This is a gorgeous property. My family rented the two larger cottages on the property (Butterfly and Hummingbird). The cottages themselves were clean and handsomely decorated, and the kitchens came fully-stocked. Each cottage had a beautiful deck with a hammock, and the Hummingbird cottage had a nice outdoor seating area in the backyard. The cottages were easy to access via a combination lock-box. My family enjoyed to visit East Beach, West Beach, the Old Mission, Rusty's Pizza Parlour, Rudy's Mexican Restaurant, and State Street. A few complaints . . . the hot tub was out of commission due to water shortages in Southern CA, we had some trouble using the dryer at the Butterfly cottage (the Hummingbird dryer worked fine :), the other occupant of the property (Ladybug) greeted us with a curt "we're looking for peace and quiet for our vacation," and the cleaning lady arrived an hour earlier than I was expecting on the last day. All in all, this was a wonderful property for a very reasonable price, and I would recommend it to anyone! Casas têm uma localização única para o prazer de férias. Há uma caminhada plana e fácil para ambos os shopping centers La Cumbre e Five Points, Whole Foods Market e famoso Sideways Santa Ynez Vale Wine Tasting 20. 11 quilômetros de distância. Acesso à praia fica nas proximidades (4. 2 milhas de distância). Perto de praias cênicas, o porto, cais, Arts & Crafts Fair (domingos em East Beach), Santa Barbara Zoo, Jardim Botânico de Santa Barbara, o Tribunal Histórico, o Museu de História Natural, o Museu de Arte de Santa Barbara, e de classe mundial jantar e fazer compras. -30 Milhas cênicas ao longo da Rota 154 pelas colinas da Floresta Nacional de Los Padres, passando pelo Lago Cachuma até Solvang / Buelton e o famoso Wine Counrty do Vale de Santa Ynez, onde o filme Sideways foi filmado (20. 7 milhas). Holidays are the same rates as High Season rates.